The first time I went to Hartenberg Wine Estate was for their inaugural Shiraz and Charcuterie day. My second visit was far more relaxed and included an amazing tour through the underground cellar which was completed in 1998. Our morning started with a glass of Sauvignon Blanc which was full of fresh green asparagus. We sat outside where you can enjoy lunch, before heading into the tasting room to learn more about the estate from Juergen Welp. They have a very limited kitchen and make use of a consultant chef who creates 2 new menus per year. The aim of Hartenberg is to upskill the people they employ which to me is an amazing concept, and one I use at work as well. From November to February you can enjoy a picnic in the vast open space and for children there is a dedicated play area. You can also ask for board games to be brought to you. The kitchen caters to both vegetarian and Halal dietary requirements. The cost is R175 per person and includes a bottle of wine per couple. These meals are fully serviced so you can sit outdoors and enjoy the view and sunshine, never having to leave your spot when your wine needs refilling. If however you do feel energetic, there is a 65 hectare wetland area which you can walk through. Here you might see some of the 70 bird species found in the region, as well as porcupines, tortoises, lynx, duiker and steenbok. Along the walk you will see signs for porcupine kitchen and Ken’s place (a large oak tree) and if you feel like taking in the scenery you will find benches along the way. We moved from the tasting room to what is the largest privately owned underground cellar in the Western Cape. Hartenberg was the first farm to make use of wooden barrels according to Juergen and the farm focusses on sustainability in their methods. Once owned by Eleanor Finlayson, the farm is now owned by the McKenzie family. Ken McKenzie bought the farm in 1987 and as a fighter pilot was known as “The Stork”. 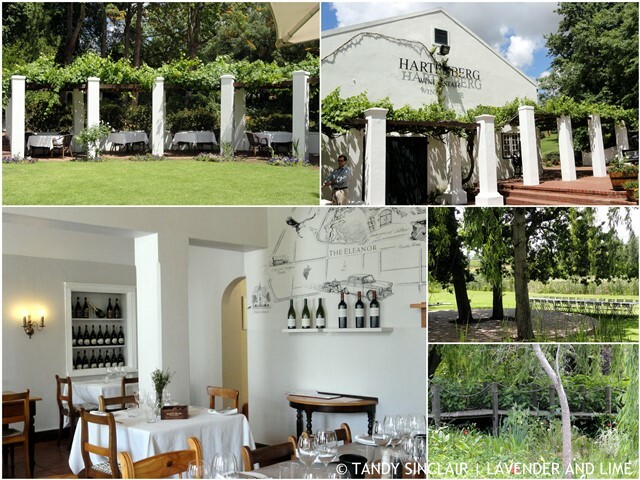 The farm was established in 1692 and the current winemaker, Carl Schultz has been making wines for Hartenberg for 23 years. The farm is best known for their Shiraz and 60% of the red wines produced are from this varietal. 20% of the grapes are turned into white wine and they produce a really good Noble Late Harvest made from Riesling grapes. 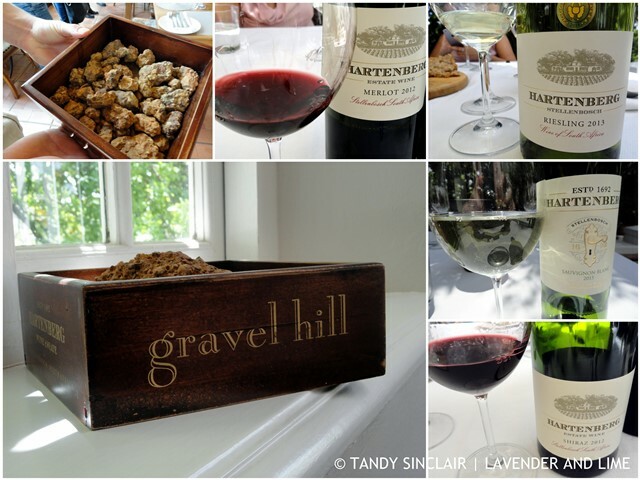 The fact that the grapes for their Gravel Hill Icon Shiraz are grown on stone is what makes the wine so fantastic. These harsh conditions have resulted in award winning wines, including The Stork Shiraz (2008) which won the world’s best Shiraz in 2010. 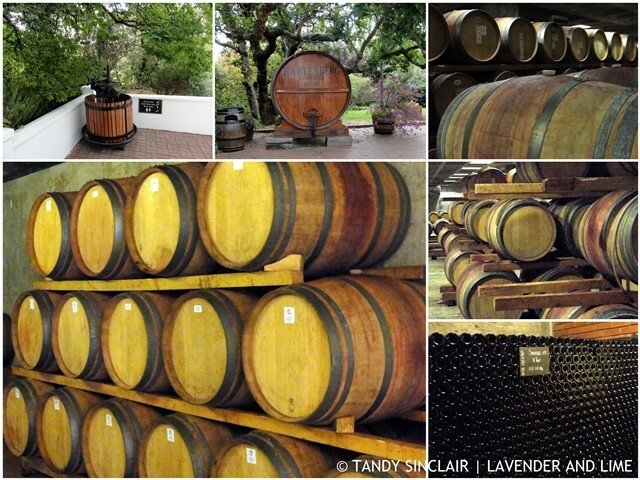 Hartenberg produces 400 000 bottles of wine, and other than the Alchemy range, all the grapes are grown on the estate. The front room of the underground cellar can be used for functions and the rest of the temperature controlled area is given over to barrel and bottle storage. The barrels are all French oak and once the wine is bottled the bottles are moved further back into the cellar for laying down. Above this underground cellar is a separate maturation cellar. The wines spend between 10 to 24 months in the barrel and no barrel is used more than 3 times. 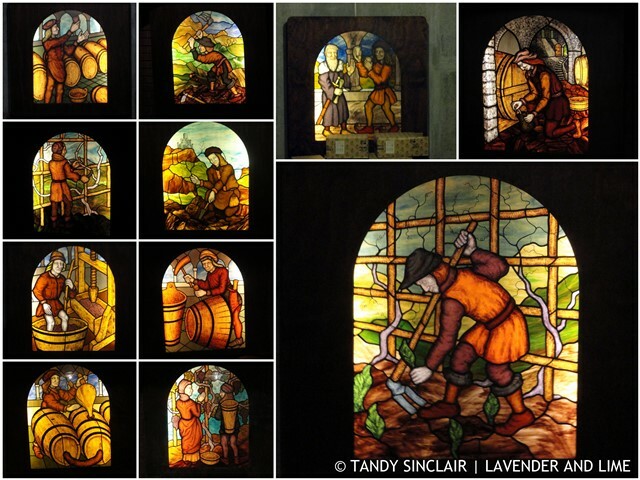 The hidden gem of this cellar are the stained glass pictures depicting the wine making process. Antique glass was used to create them and I fear my camera does not do them the justice they deserve. After this amazing tour we head back to the al fresco dining area and start our meal with home baked farm bread and Eleanor’s snoek pâté. This was followed by a fish platter and then the burger which won their competition, served with a green goddess salad. A plate of mussels was brought out for the pescatarian diner at our table. Our meal ended with ice cream and berry coulis, perfect for the heat of the day. While we were enjoying our meal, Caroline engaged us in a wine tasting. We started with the 2013 Riesling that was shy on the nose and had a lovely spice element on the palate. The 2013 Chardonnay is placed into 30% new barrels for 11 months and has a lovely citrus nose and buttery mouth feel, full of lime. The 2012 Merlot has red berries on the nose and palate and is dry. This has spent 17 months in barrels, 60% of which are new. The wine displays good legs and makes a great lead in to the 2012 Shiraz. With spice on the nose and red cherries on the palate this is a fantastic wine. Cellar tours must be booked in advance. I wish you could see them in real life Liz! Oh wow… this place looks amazing. I so wish I could visit. And just look at that food, delicious. Sounds like an amazing and delicious tour! 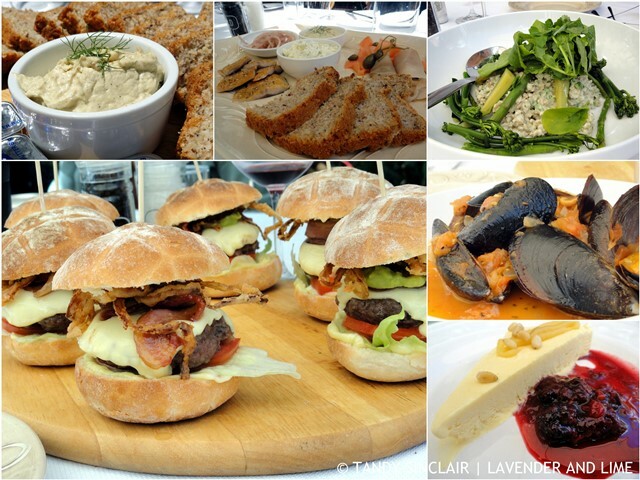 What an amazing place and a fantastic experience – the food looks so good too! Hi Tandy, what an amazing estate, the underground cellar, the grounds, the food and wine.